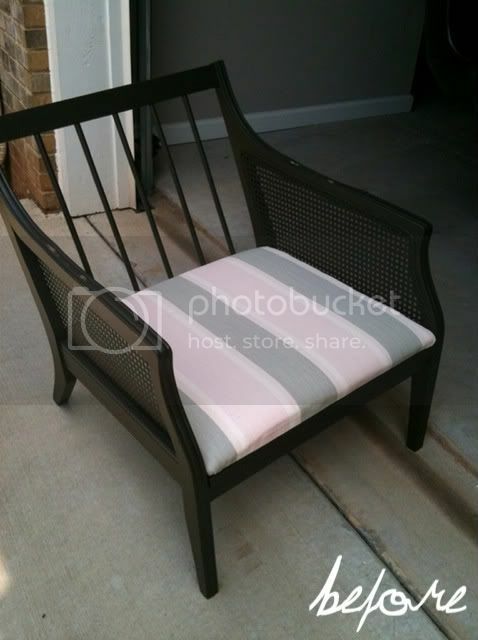 Kristen F. Davis Designs: chair makeover! after a simple coat of paint and some new upholstery and pillows! oh my god, so cute. You guys must have some pretty good second hand stores. Great find and great makeover! 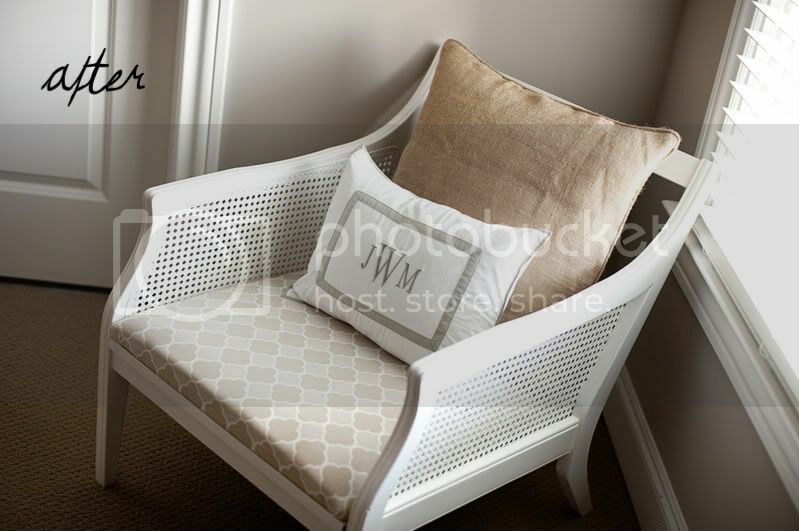 I just found your blog and saw this chair - and it's the cutest ever! Love it! Beautiful! Can I ask what the fabric you used for this is called or who designs it? I love it! I love your work! Ever since a friend shared your site with me back in August I have been a frequent visitor. I know that I am posting on over a year old entry, but I LOVE this chair you made for your friend Jenny! I especially love the pattern on the fabric! I would REALLY REALLY like to know what that pattern is called. If you don't mind... where did you get the fabric from?